New Song “Dusted” is now on CDbaby.com and iTunes. Please download & listen! 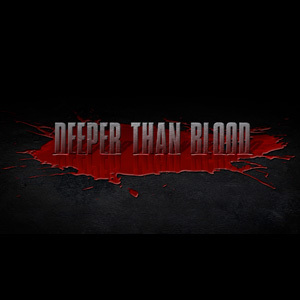 Ian & Jackie Ramos are working together in a new project called DEEPER THAN BLOOD. Their new song called “Here To Stay” can be downloaded from iTunes, CD Baby and amazon. Please check it out & tell us what you think! Ian is playing guitar, bass and backing vocals, and Jackie playing drums and singing. There will be more songs in the coming. Good to hear from you. Thanks for checking out the new stuff I’m working on. I’m putting up a new song called (Dusted) in about a week . It’s got my buddy Danny Gill playing lead guitar on it. Let me know what you think. Sweet! Looking forward to hearing it. Let me know if you guys plan any shows. I’m occasionally down in the L.A. area…would be cool to see you guys play again. Keep on rockin’!!! ~Joe – PS. I occasionally perform down at NAMM. Email me and I’ll let you know if I’ll be at NAMM 2013!